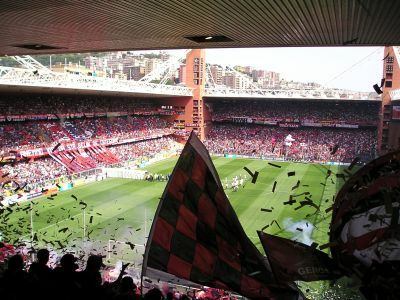 Luigi Ferraris stadium is named after a Genoa-player that was killed during the First Worldwar. The openingmatch (Genoa – Young Boys Bern 3-1) was played on New Year’s Day 1933. Because of the World Cup in Italy in 1990 the stadium was rebuild, stand after stand at the original place on the boarder of the Bisagno-river. 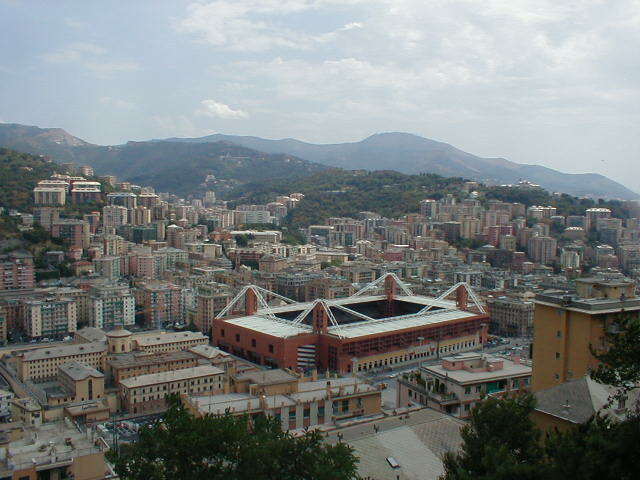 The red coulered stadium in the Marassi district of Genova is the most English-style stadium of Italy.